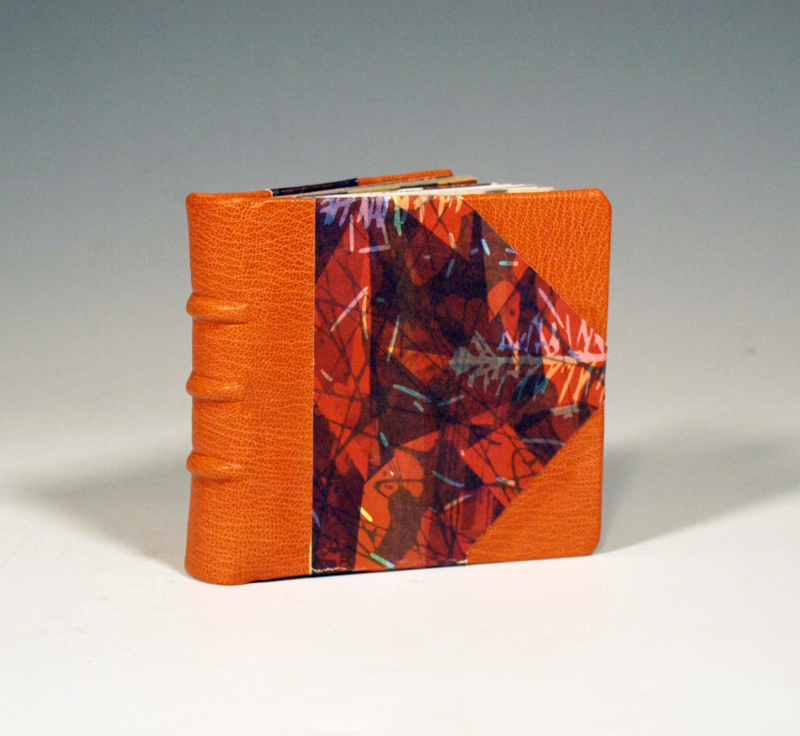 Covers and Spine: Dyed leather with offset lithograph print. Text block: discarded lithograph prints sewn on chords. 2010.